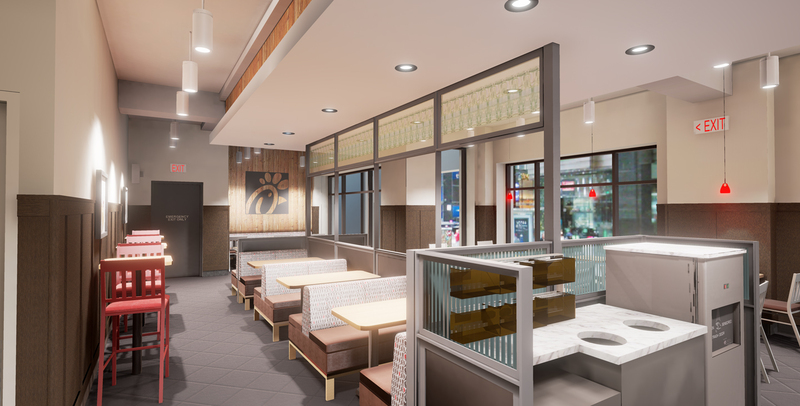 NEW YORK (Feb. 8, 2018) – Next month, the third locally-owned and operated Chick-fil-A restaurant will open in Midtown Manhattan. 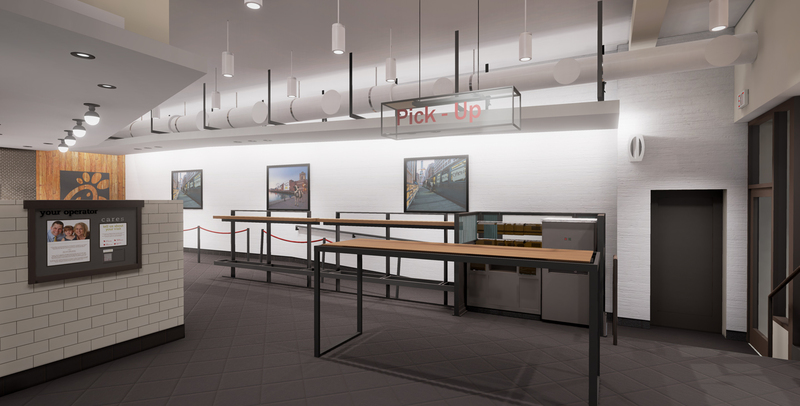 The restaurant, located across from Grand Central Terminal at the corner of East 42nd Street and Madison Avenue, will open on Thursday, March 1 and will employ more than 200 team members under the leadership of local franchise owner Ellie Kim. Kim will celebrate the opening by hosting Chick-fil-A’s signature First 100 campout in the Bank of America Winter Village at Bryant Park. Kim is a first-generation Korean immigrant who moved to the city with her family at age 16. She graduated from New York University and Rutgers Law School, and later practiced as a law clerk in Manhattan for several years before owning a dry-cleaning business in the Theatre District. She spent the past 11 years in Washington, D.C., where she owned a Chick-fil-A franchise, and recently relocated back to NYC with her family to open Chick-fil-A at 42nd & Madison. Kim’s Midtown restaurant is expected to be one of the busiest Chick-fil-A locations in the country given its proximity to Grand Central Terminal, which serves more than 750,000 commuters each day. To meet demand, Chick-fil-A designed the restaurant to handle extreme volume. Utilizing the company’s proprietary “upstream ordering” technology, team members will take orders on tablets as soon as guests walk through the doors – ensuring a shorter queue time. In addition to efficiency, the 6,263-square foot restaurant is also designed for comfort. More than 100 guests can dine on the second level with views of Grand Central Terminal and One Vanderbilt, a 1.7 million-square-foot skyscraper in development that, once completed, will bring thousands more people to the area each day. 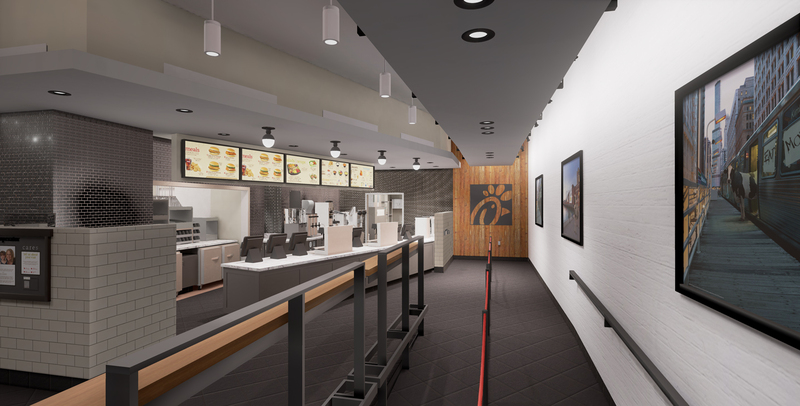 This will be the company’s third location in Manhattan and will be followed by the opening of Chick-fil-A Fulton Street, a five-story restaurant with a rooftop terrace located next to Fulton Center Station in the Financial District. Chick-fil-A at 42nd & Madison will officially open for business at 6:30 a.m. on Thursday, March 1 following its signature First 100 campout and celebration, taking place for the first time in the Bank of America Winter Village at Bryant Park. The First 100 celebration will transform the Winter Village into a 12-hour indoor campout where participants will be awarded a year’s worth of free Chick-fil-A (52 No. 1 meals total). To be eligible, participants must be 18 years or older, U.S. residents with a valid government-issued photo ID, and reside in eligible zip codes. Participants must arrive at Bryant Park to register no earlier than 5:30 p.m. on Wednesday, Feb. 28. If more than 100 people are on-site when the campout officially begins at 6 p.m., a drawing will be held to select the First 100. Those chosen will be required to stay for the duration of the 12-hour campout until the 42nd & Madison restaurant opens at 6:30 a.m. on March 1 in order to receive the prize. Due to limited space and the indoor nature of the campout, tents are not permitted and personal items should be limited to one item such as a backpack or purse. Chairs and blankets will be provided to all campers. This event is open to guests residing in specific zip codes surrounding the Chick-fil-A at 42nd & Madison restaurant, inclusive of all zip codes in the five boroughs of NYC. A complete listing of eligible zip codes, Official Rules and other important details can be found at www.chick-fil-a.com/Locations/Openings in the 42nd & Madison section. Chick-fil-A is known for hiring, developing and retaining top talent, providing a great work environment for people of all ages and backgrounds. Each NYC Chick-fil-A restaurant offers flexible hours, competitive pay and benefits, opportunities for leadership growth, college scholarships, and hands-on training and mentoring by the restaurant owner. Chick-fil-A at 42nd & Madison will employ more than 200 team members, with wages starting above New York City’s minimum wage. Whether candidates are seeking their first job or are seasoned industry professionals, all interested are invited to apply at jobs.NYCCFA.com. Nearly everything on the Chick-fil-A menu is made from scratch daily, including salads made from fresh vegetables and fruit that is hand-chopped throughout the day. The lemonade is made from three simple ingredients: lemon juice, sugar and water. 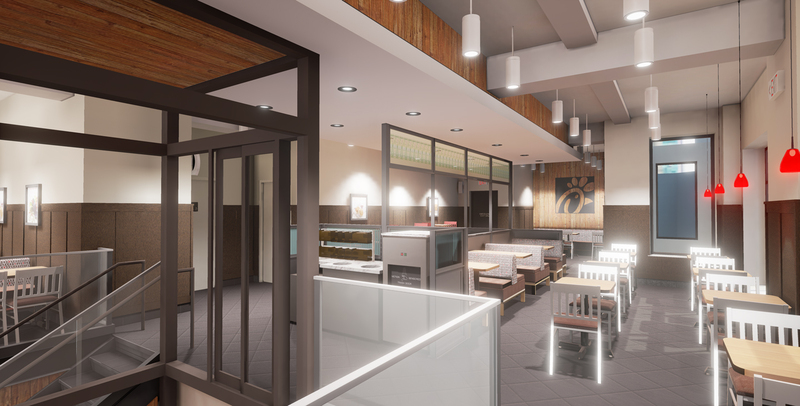 Like all Chick-fil-A restaurants, the chicken served in this restaurant will be 100 percent whole breast meat, without any fillers, hormones or additives. Each chicken breast is hand-breaded to order and pressure cooked in 100 percent refined peanut oil, which is naturally trans-fat- and cholesterol-free. By the end of 2019, every Chick-fil-A restaurant will serve chicken raised without antibiotics. Chick-fil-A is an active contributor to the community and is committed to giving back in New York City. 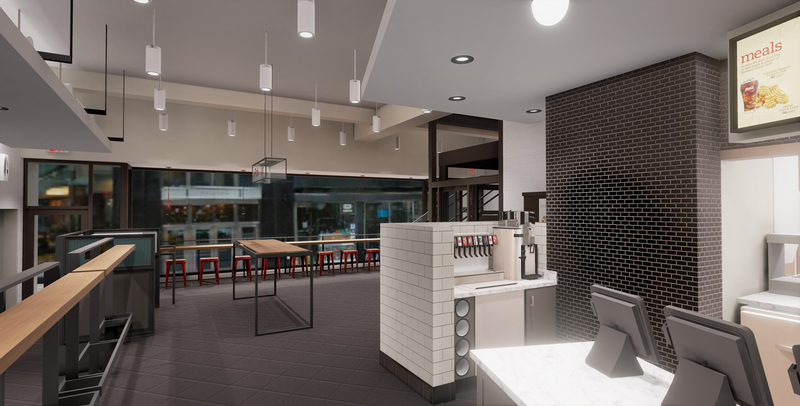 Like the other NYC Chick-fil-A locations, Chick-fil-A at 42nd & Madison will partner with New York Common Pantry to provide meals to those in-need. To date, the Chick-fil-A restaurants in New York have donated more than 9,000 pounds of food to the organization, which serves the city’s homeless population. The restaurant will also partner with Feeding Children Everywhere, a social charity that mobilizes groups to assemble healthy meals for children in need. First 100 participants will have the opportunity to help assemble meals to be distributed locally. 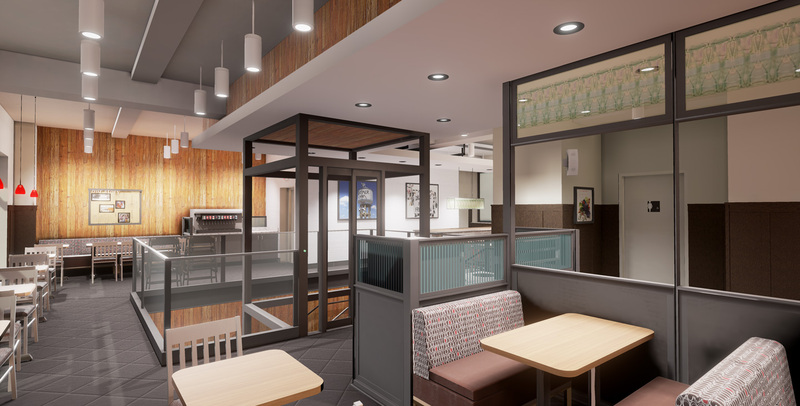 Chick-fil-A at 42nd & Madison will be located at 50 East 42nd Street and will be open from 6:30 a.m. to 10 p.m., Monday through Saturday, beginning March 1. For more information about Chick-fil-A and stories about the company’s food, people and customers across the country, visit chick-fil-a.com. For the latest news and updates at Chick-fil-A, visit the Chick-fil-A at 42nd & Madison Facebook page.